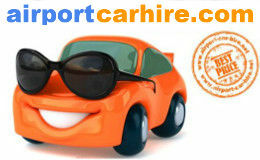 Airport Car Hire Newqork will compare the market for you to get you quality cars at fantastic prices in Newcastle Aaaa. Prices are all inclussive with a no excess option and fair fuel policy. Cars are supplied by the leading rent a car companies in the England, Hertz, Avis, Sixt, Europcar, Budget, Thrifty, and many more. Pcik up location at Newcastle airport and Newcastle city centre. Newcastle airport car hire will source car rental at Newcastle Airport, Newcastle Gateshead car hire, Newcastle Upon Tyne, Newcastle city centre. It is a rare occurrence for a city to be highlighted by a single feature; for Newcastle it is its river. Several important events in the city’s history have been shaped by the river Tyne, especially its cultural and social life. Newcastle upon Tyne or as referred to as Newcastle, is located near North Eastern England. The city had been developed in the region of Roman settlements. It was named after the fort built in the year 1080. The dominance of Victorian designs that has gone into the developing of streets in the city is still clearly evident. 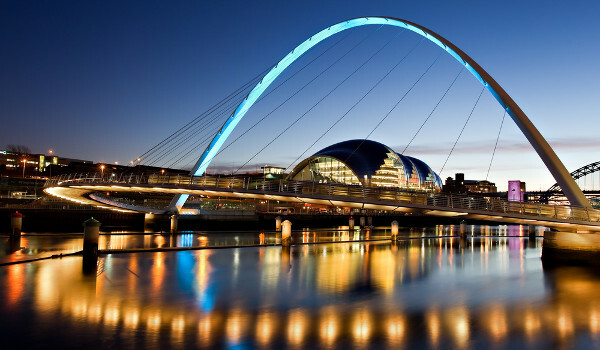 Standing on the River Tyne, the city center houses noteworthy Victorian buildings, large shopping areas, exquisite dining places and numerous entertainment facilities. Once a major exporting port, the city’s harbor now serves as a bustling passenger terminus for cruise ship to Europe, ferries and boat services within the city. The river and its bridges also offer interesting scenes and standpoints for its visitors. Revel to the sight of striking bridges, Sage music centre, Baltic art gallery and dining areas while you walk along Quayside. The city is filled with several stylish streets such as Grey Street, shopping areas and several cultural attractions. Newcastle’s love for football is binding. Unlike any other regular football clubs that play for trophies and success, Newcastle United is more about solidarity and passion to the game and the team. If you are a football fan and want to feel the real spirit of the game, drop down at one of the local clubs. One of the first things you have to see in Newcastle is the castle that has given the city its name. Though there is not much left of the castle, The Castle Keep is the most interesting to watch out for. The Keep’s vantage point offers a landscape of the scenic beauty of the Quayside. While you are busy exploring Newcastle’s streets, there is a lot happening underneath your feet. Victoria Tunnel is an underground tunnel that runs for 4km. If you want to visit the tunnel, it requires an advanced booking as the numbers are limited only to 12 participants. Newcastle's Quayside is regarded as the city's premier attraction. Nestled between two of the most iconic bridges, one side offers the best arts centres in the region while the other bank is flanked by excellent dining areas. Great car rentals deals are now available for you at affordable rates. Premier Inn Newcastle City Centre, New Bridge Street West, NE1 8BS Newcastle upon Tyne In the heart of Newcastle’s bustling centre, this Premier Inn is located next to Eldon Square shopping centre. Guests can relax in bright, modern rooms with king-size beds. Each Premier Inn room contains a private bathroom with powerful shower and toiletries. Rooms also provide TVs, tea/coffee facilities, and work desks. Both Northumbria and Newcastle University sites can be reached in a 5-minute walk. Monument Metro Station is also just 5 minutes’ walk, and Newcastle’s vibrant pubs, clubs, and nightlife can all be reached within 15 minutes’ walk. Jurys Inn Newcastle, Scotswood Road, NE1 4AD Newcastle upon Tyne This great-value hotel is in the city centre, 500 metres from Newcastle Rail Station. It has large and light en suite rooms with air conditioning and power showers. The Jurys Inn Newcastle is a short walk from all of the shops, bars and restaurants, just a 10 minutes’ walk from Eldon Square and The Gate shopping centres. The Centre for Life science centre is 200 metres away and Newcastle United Football Club is 900 metres from the hotel.